Scalar energy watch pairMineral based high-tech formulated energy pendant, made from volcanic lava, using Japanese technology. Capable of emitting scalar energy instantly transforming bio-energy into our body to promote molecular activities of water molecules in body organs. We at Devik are the Leading Suppliers of Magnetic Watches. We are able to deal in different parts of Country like Mumbai, Gujrat, Pune, Nashik, Punjab, Uttar Pradesh, Jammu Kashmir etc. Being a well-distinguished company in the market, we are into offering Bio Magnetic Watch. To cater the numerous needs and demands of our customers, we are betrothed in presenting premium quality of Bio Health Watch. Scalar energy watch pair Mineral based high-tech formulated energy pendant, made from volcanic lava, using Japanese technology. Capable of emitting scalar energy instantly transforming bio-energy into our body to promote molecular activities of water molecules in body organs. 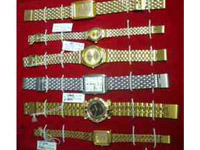 We are wholesaler, supplier, manufacture and distributors Bio Magnetic Watch. Biomagnetic therapy is the software of magnets to the body to stimulate the nerves and create a better blood flow to various parts of the body. BIO Magnetic therapy is a extra. In order to meet the particular choices of our valued customers, our firm is affianced in offering a commendable array of Bio Magnetic Watch. Procured from the authentic vendors of the market, this watch is designed with the use of high quality basic material and the latest machines in compliance with international standards. 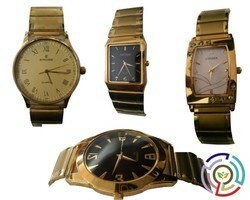 We are providing best quality products of Bio Magnetic Wrist Watch.